This summer, the Australian Veterinary Association (AVA) is warning animal owners about the dangers of leaving their pets in vehicles. AVA President Dr. Paula Parker said that every year, many pets are found confined to vehicles during hot conditions, which is a major animal welfare concern. “The temperature inside a vehicle on moderate to hot days, even with the windows partially open, can rise quickly and too dangerous levels. An animal exposed to these extreme temperatures is likely to suffer serious heat-related illness or sadly in some cases, it could result in the death of a beloved family pet. “Even relatively mild ambient temperatures (e.g. 22°C) where the windows are partially lowered to provide ventilation can still cause an animal to experience hyperthermia (increased body temperature), which is a serious health and welfare issue. “Animals that are exposed to the elements on the back of utility trucks may also suffer hyperthermia during hot conditions. “As many pet owners continue their holiday road trips, it’s important to remember to cater for the needs of pets. Sadly, I have seen many cases of dogs that have overheated when they’ve been stuck in holiday traffic,” Dr. Parker said. Signs of hyperthermia and heat-related illness include lethargy, excessive panting, breathing problems, collapse, and unconsciousness. “It’s important that animals are removed without delay from these situations, even if the owner cannot be found immediately. Intervening early by removing the animal, cooling them with continuous running water (avoiding the head) and getting them to a veterinarian immediately can be life-saving. 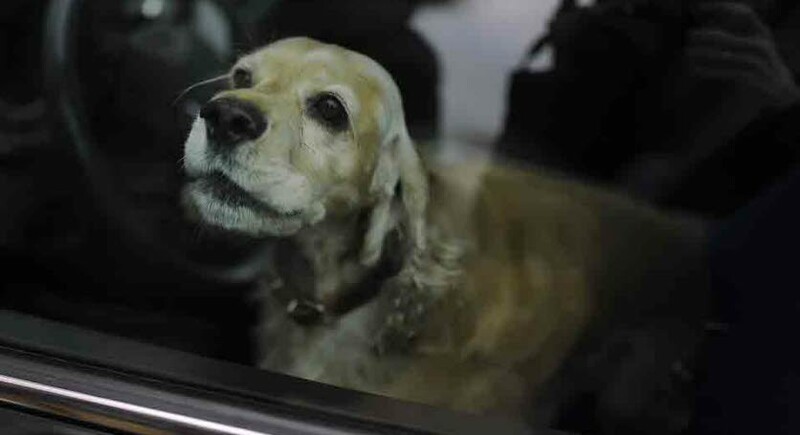 “If members of the community notice an animal locked inside a vehicle and believe it is at risk of hyperthermia, they should report the case immediately to police, animal welfare officers or firefighters who can take action to rescue the pet,” Dr. Parker said. Any pet that suffers hyperthermia should be taken to a veterinarian as soon as possible for assessment.